A recent censusconducted by the state of Kansas showed that both local and state governments spend more on highways and higher education compared to other states. While ranking higher than many other states in these categories, Kansas was below average on spending for parks and recreation. 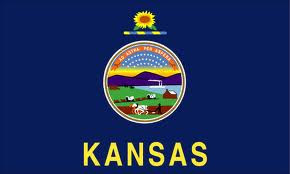 Many state officials are taking pride in the fact that Kansas has both placed a priority on education as well as staying fairly balanced in terms of the revenue from taxes the state generates. This balance will allow Kansas to survive a sudden loss in revenue to a major contributor, something that has hit states that rely heavily on tourism hard in the past year. Kansas was above average in revenue generated from higher university, while government expenses were among the lowest in the country. With low government spending and balanced sources of taxed income, Kansas should be in a good economic position heading into the future. Unfortunately in these times, many other states cannot say the same.